Farmhouse on 3.5+ acres. Originally one room log home that has been added to. Replacement windows. Barn and other outbuildings, fenced and ready for your animals. Road frontage. Excellent location in the village of Fairfield. This log home has 3 bedrooms and a full bath with a open front porch as well as an enclosed back porch. There are a couple of outbuildings, one of which is an old log cabin with a bathroom. Conveniently located between Lexington and Staunton. Business zoning offers flexible uses. How Amazing would it be to own a Log Home built in 1796 with your own Private oasis and Community River Access! Restore this beauty and its In-ground Pool in the backyard for the ultimate River Community Getaway! River Access Includes Boat Ramp, plenty of Common Area Space to Picnic, Play Football,and more! Go Kayaking, Canoeing, Fishing, Swimming, etc. Beautiful Log Home on Large Lot at Bryce Resort. Home is currently undergoing renovations to bathrooms, kitchen, and more. Updates include: New appliances, vanities, toilets, flooring, and paint. The spacious Great Room has a stone fireplace, vaulted ceilings and lots of windows looking out over the trees. Wonderful Log home with great views and Shenandoah River Access. This 1 1/2 story home features living room with pellet stove, eat-in kitchen, Laundry Room, Sun Room and Large Master Bedroom dual entry bath on Main Level. 2nd Bedroom and Bath on the 2nd Level. Skylights, Det. garage and small shed. The views from the decks are wonderful! PLUS you will enjoy the near by river access. 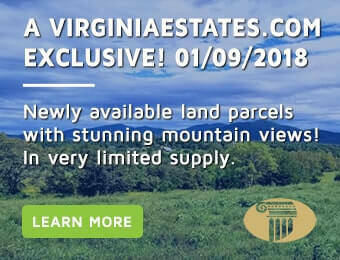 1.11 acres. This home can be your own private get-away! Located just over Passage Creek, in the George Washington National Park area, this custom built, hand-hewn log home is privately situated on over 2 acres, and has deeded access into the park. Welcome to Log Heaven! Stunning 3 Bedroom, 2.5 Bath CUSTOM BUILT Log Home close to amenities at Bryce Resort! The Master Suite is on the main level. Other features include: single car garage, HUGE deck, and a full unfinished basement ready for your finishing touches.